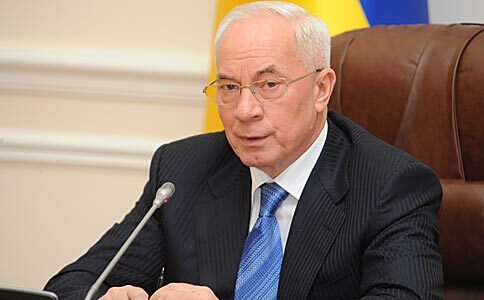 KIEV, Ukraine -- Prime Minister Mykola Azarov threatened to fire local officials who had quietly moved to increase housing and utilities prices in several regions over the past month. The International Monetary Fund demanded higher prices as a condition for $15.2 billion loan, but Azarov has repeatedly refused to do so amid concerns the move would be politically damaging to the ruling party. As Azarov spend the past several weeks on summer vacation, several local governors and mayors, unable to subsidize cheap energy, had moved to quietly hike the prices. “Some officials used the summer lull to try to quietly increase tariffs for utilities,” Azarov told a recent government meeting. Azarov, who has persistently refused to hike the prices for years, ordered Deputy Prime Minister Oleksandr Vilkul to investigate the increases and see if those local officials can be fired. "This was the cynical attempt,” Azarov said. "How can they justify such an increase?” Azarov said. “Are they buying electricity in the UK and have salaries paid like in Norway?" The comment suggests that Ukraine will have difficult time persuading the IMF to resuming lending to the country as one of the key demands – the gas price hike - will most likely not be met. Ukraine needs the loan to support its foreign currency reserves and to refinance about $9 billion in foreign debt falling due this year, including $5.8 billion owed to the IMF. Yanukovych is expected to seek re-election to second five-year term in office in March 2015 and any gas price hike before that would weaken him politically, analysts said. The IMF suspended the loan in early 2011 after the government has refused to hike gas prices by 30% for households as part of the reform. The IMF wants the gas prices to increase to stop losses faced by Naftogaz Ukrayiny, the national energy company, which is importing expensive Russian gas and reselling it in Ukraine at a discount. Ukraine tries to persuade the IMF to drop its requirement for higher gas prices as the government is already in talks with Russia seeking lower prices on gas imports. Russia, however, refused to lower the price unless Ukraine agrees to make geopolitical concessions, abandons plans for greater European integration and joins a Moscow-led alliance, known as the Customs Union, instead.